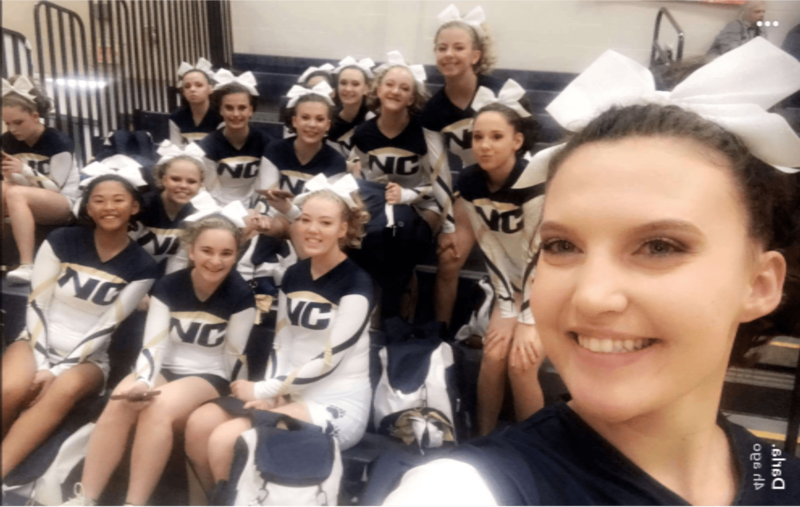 The NCHS Cheerleaders, accompanied by Coach Wendy Roberts, competed at the West Virginia State Cheerleading Competition on Saturday, November 4th, at Robert C. Byrd High School. There were 11 teams to compete against, and the NCHS squad came in 10th place. This was the cheerleaders’ final competition for the year, and the girls are proud of their hard work.